So, one of the biggest releases this year was Call Of Duty: Black Ops. Now, on a personal level, I don’t like the Call Of Duty games at all. And i thought this was going to be another one that i didn’t like, but it surprised me. So, when release day finally came, my friend was all like “do you wanna go to the black ops midnight launch with me?” So me being me, went along for the ride. I took some of my older games so if I decided to buy it I wouldn’t have to pay too much. And guess what, i did end up buying it that night. Mental, I know, but I wanted to see what the fuss was about. Anyway, upon playing it I found that it is a lot more than I expected it could be. A lot more. Firstly, the campaign is awesome. The story has so many twists and turns in it, it’s like a country road somewhere here in Britain. On top of that, the characters are very well-developed from the very beginning. The game really draws you in from the start, and makes you want to find out what happens. I completed it on hardened in two sittings. Now, i’m not saying it’s an easy game, i’m saying that i wanted to get to the end to find out what happens. It’s that good, and seriously, the ending is incredible. Normally in a Call Of Duty game though, the story blows, just like with Modern Warfare and Modern Warfare 2, so it relies quite heavily on the gameplay itself. Not, in terms of first person shooters, this game is more advanced than your basic shooter, but less advanced than a really good shooter. It sits pretty comfortably in the middle, and it does it quite well too. The few new features they have introduced are the dive. When sprinting, hold the crouch button and you dive to the floor into a prone stance. It’s pretty fun, especially when moving forward behind cover. Other than that, the game is very much the same as the others. The graphics aren’t great and the gameplay can get a bit intense, especially on the harder difficulties. Another thing they have changed on this game, is the level progression in the multiplayer. Instead of having to use a certain weapon for a certain amount of kills to get a cool attachment, you can just buy it. Useful if you don’t have the patience to get 150 kills with a weapon before you can start using a scope or red dot sight. On top of that, the customisation has kinda gone all Halo on everyone. They have taken one of the best aspects of Halo, and applied it quite well to a modern war situation. You get to choose your weapon attachments, your side arms and even the colour of the weapons. Yes, that’s right, i’ve been killed by someone who had a purple gun. PURPLE!! It’s epic. 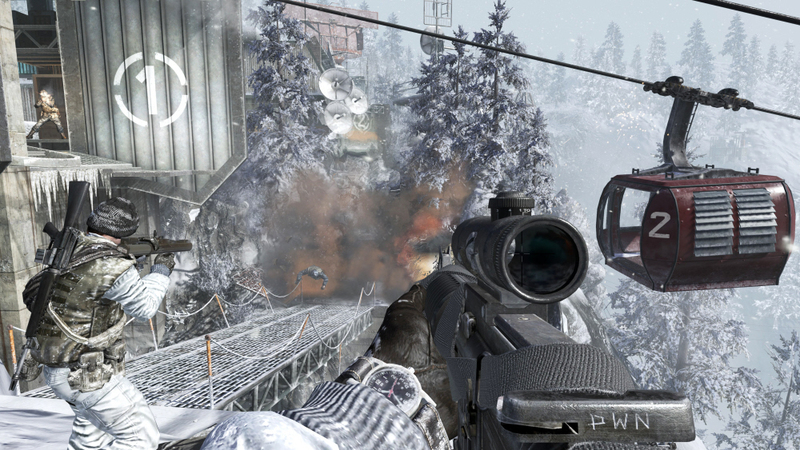 All the features we all know and love about Call Of Duty online are still there, and all the game types too. Treyarch have just added some more. There are Wager matches now. In these, you place a bet and get put in a random game type out of a choice of four. If you win, you win your money back, and then some! It can get quite addictive, so i made sure i played that before playing the other multiplayer modes. Another thing that has made a return for this game is the Zombies mode. Yup, that’s right guys, the thing that made World At War worth playing has returned. And this time, it’s that little bit more epic. When you complete the campaign, you are greeted with a cut scene of epic proportions that involve a few people from history, and i must say it’s hilarious. This then takes you to a game of Zombies and you play as an ex-president. It’s very much the same as World At Wars zombie mode, but with an added hint of awesome in the way of characters. The zombies this time aren’t Nazi’s which is a shame, but there is supposed to be Nazi zombie mode with the Prestige edition. It’s a fun game type to play with three other people to see how long you survive. All in all, i would say that Black Ops is a good game. Not game of the year, not by a long shot. But it is something special. The campaign mode really gives it pull as well, especially compared to all the other Call Of Duty games. On a whole, the multiplayer experience hasn’t changed much, but has some nice refreshing features added. For that the game gets 7.9/10. Like it’s good, but not that good. This week has been pretty intense for video games, and especially Microsoft. 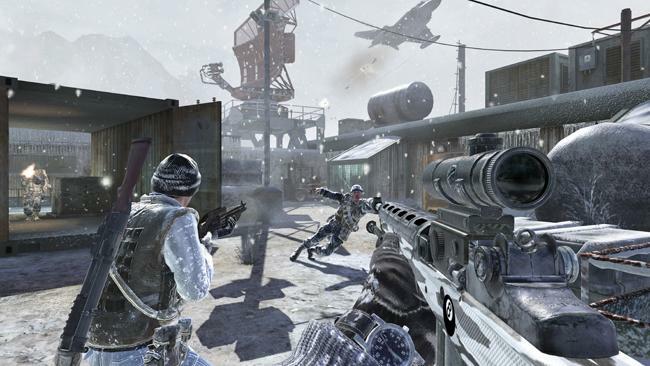 Call Of Duty Black Ops and Kinect have been released. Not only that, but they were released on two consecutive days! I feel sorry for those employees at Game that had to Midnight launch both. Anyway, my Call Of Duty review will go up this weekend. Kinect, motion controller. If you know me, you will know that after Eurogamer i was pretty set against Kinect. It was extremely buggy and i didn’t like it too much because of that. However, since then they must have ironed those bugs right out. Like seriously! It works so well now. Kinect itself is huge. But that may be because it’s host to an RGB camera, Depth sensor and Multi-array microphone. Together, these pieces of hardware work together with software to give a fantastic gaming experience. The first game i tried out after buying it was Kinect Adventures. This is a collection of mini games and is supplied with Kinect. As dull as mini games are, this collection is actually surprisingly fun, and i can see myself playing them a lot. In single player, the games are awesome and get you moving far more than the Wii ever could. Especially in the game called Rally Ball. This is where you have to hit Dodgeballs into blocks and the more consecutive hits you get, the faster they become. Not only that, but more balls get added when you hit the power-ups. It can get hectic and i wouldn’t suggest getting behind someone who is playing. The one thing i was very sceptical about was the multi-player function of the device. At Eurogamer it was multi-player that we tried, and it wasn’t very well constructed and kept bugging out, and initially only picked one person up. But since then, they really have sorted that out. Multi-player works like a dream now. Me and my friends were playing Kinect Joy ride and Kinect Adventures with ease and no bugginess. Kinect Joy Ride is awesome too. Pretending to hold a steering wheel to control a car is something of awesomeness. It can be a little hard to control sometimes, but that might be because i’m not used to it. Boosting sure is fun, you pull your fake wheel into your chest to charge it up and then push forwards to boost. BAM! Super Speed! The one thing I was very impressed with was the dashboard navigation and voice recognition. Like, it works, and it works well. The multi-array microphone really helps here. It has 4 microphone capsules along the front which all transmit 16-bit audio at 16kHz. I know none of that really means anything to a lot of people, but it’s a good thing. When you set up kinect, it makes you be very very quiet while it determines the level of background noise, and how gaming sounds will affect this. It’s all very very clever, and worth the money. With this technology you can control your xbox by simply saying xbox and then using one of the commands stated. And it works really well. No hiccups at all. It’s superb, and awesome when you want to show off. Overall, Kinect is probably the best gaming experience i have had in a while. I mean, it’s got potential, but it is awesome for all those Mini-games. And it does that a lot better than the Wii did. How well it will do against full retail games like Call of Duty and Halo is yet to be seen, but for what it is now, it’s something i think i’ll get a lot of the games for it. Kinect gets a near perfect 9.9/10.